Universidade Federal do Estado do Rio de Janeiro. Rio de Janeiro, RJ, Brazil. Belonging to the family Formicidae (order Hymenoptera), ants are cosmopolitan insects, inhabiting all kinds of terrestrial environments, except the arctic, with nearly 10,000 known species. Ants are also social animals, interacting inside their nests within each caste and each role. These worldwide animals are abundant and dominant in each habitat and niche (Hölldobler & Wilson, 1990), being responsible for a huge nectar consumption (amongst other substances acquired from plants), decomposing organic matter (hence helping with the ecological recycling of nutrients), as well as gathering and transporting seeds (thus helping plant dispersion) (Levey & Byrne, 1993). Artificial systems, such as urban centers, can be colonized and exploited by a variety of ant species. Overall, around 1% of the species could have a huge impact into anthropogenic activities (Zuben et al., 2004). Ants, among all known insects, are quite prominent within our cultural practices, being frequently named and personified in fables, tales, movies, cartoons and even in more conventional works of art (Doré, 1968; Pérez & Almeralla, 2006; Souza, 2009; Castanheira et al., 2015). The prominent Spanish painter Salvador Dalí, for example, had a notorious passion for ants, which are well characterized in his paintings. Ants are likewise prominent in cartoons, such as Atom Ant (Hanna-Barbera Productions, 1965–1968) and The Ant and The Aardvark (United Artists, 1969–1971), and films, like A Bug’s Life (Pixar Animation Studios, 1998) and Antz (DreamWorks Pictures, 1998). 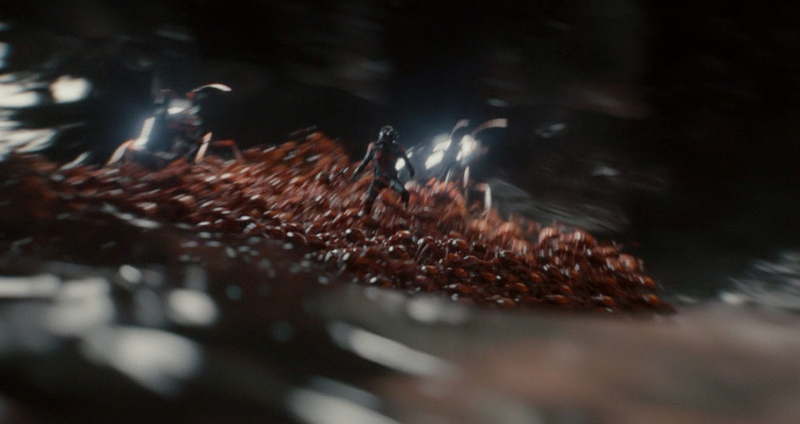 More importantly for us, ants are featured even in superhero comics and films. In the present article, we list all the ant species shown in the Ant-Man movie (Marvel Studios, 2015) and present notes on their biology and distribution. In order to do so, the Blu-ray version of the movie was meticulously watched, observing features such as morphology and behavior, which were then compared to scientific records. At least three different characters wore the Ant-Man suit in the Marvel Universe, all of them somehow connected to the famous super hero team, The Avengers. Two of these characters, Hank Pym and Scott Lang, appeared in the 2015 movie. The hero’s power comes from the so-called Pym particles, a fictional substance that allows him to change and manipulate his size and strengthen his muscles, and a helmet that gives him full control of (and communication with) insects, especially ants. Doctor Henry “Hank” Pym was the first Ant-Man, the inventor of the Pym particles, and one of the founders of The Avengers team, alongside Iron Man, Thor, the Hulk and Wasp (Fig. 1). Scott Lang was the second man to wear the suit, at first only to save his daughter Cassie Lang from a kidnapper, but afterwards becoming a hero in his own right. 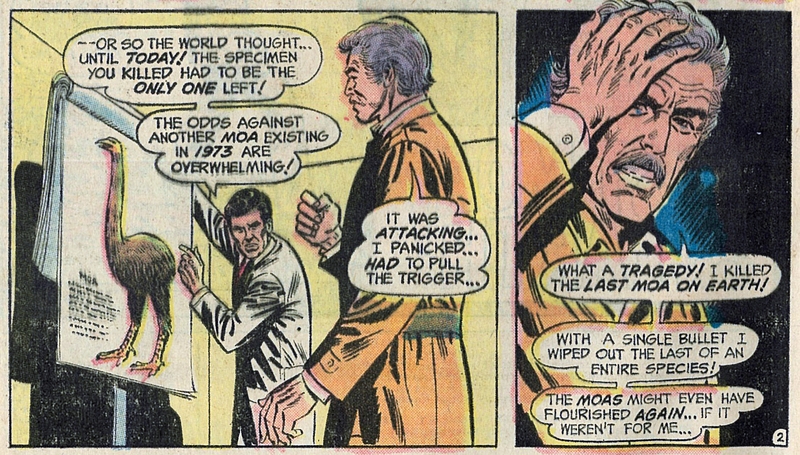 The third Ant-Man was Eric O’Grady, an official from the group called S.H.I.E.L.D. (DeFalco et al., 2009). Figure 1. 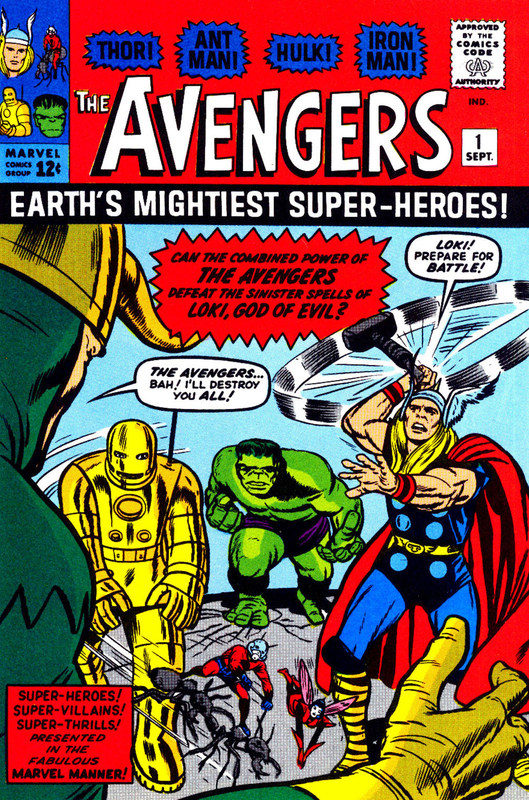 Cover of The Avengers #1 (September, 1964; art by Jack Kirby). Source: Wikimedia Commons. Ant-Man is an American movie based on the comics, where Scott Lang receives a special suit that allows him to change the size of matter by manipulating the distance between atoms. It is the 12th movie of the Marvel Cinematic Universe (MCU). 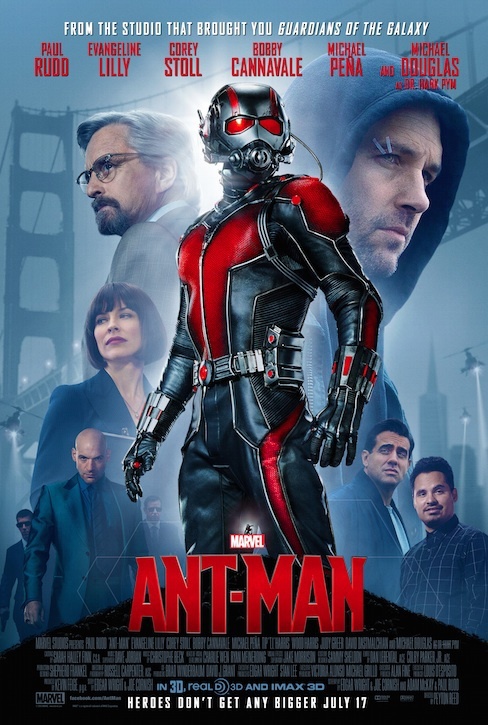 Starring Paul Rudd as Scott Lang, Evangeline Lilly as Hope van Dyne and Michael Douglas as Hank Pym, the movie was directed by Peyton Reed and a tremendous success, grossing over 500 million dollars. Figure 2. Promotional poster of the Ant-Man movie. Source: Wikimedia Commons. 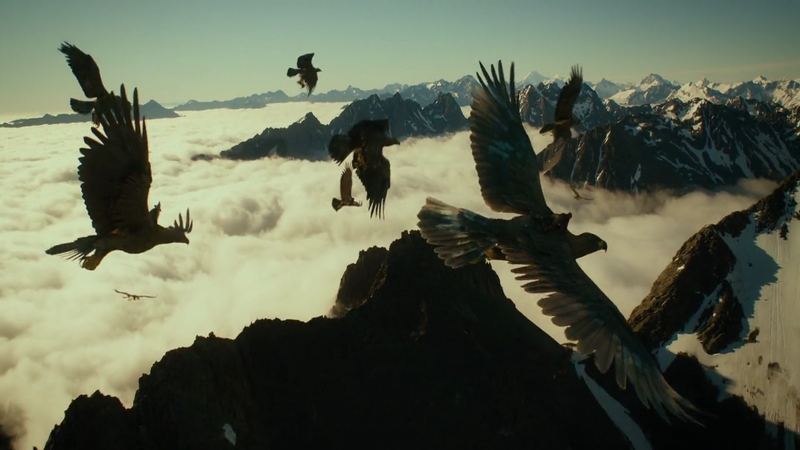 Four species are featured in the movie (Fig. 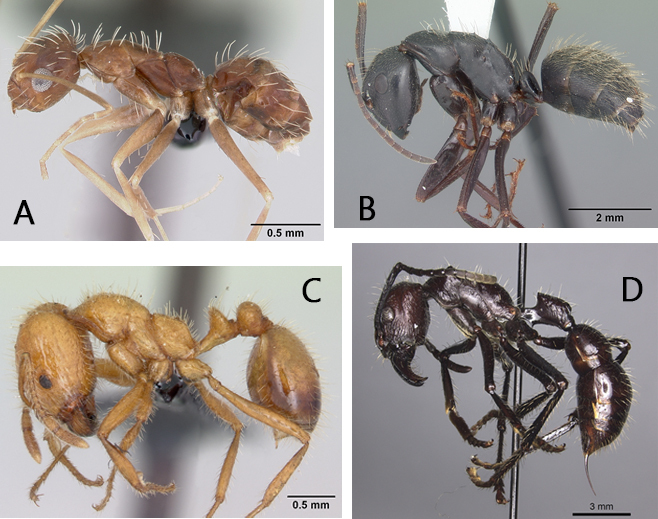 3): the crazy ant (Paratrechina longicornis); the bullet ant (Paraponera clavata); the carpenter ant (Camponotus pennsylvanicus); and the fire ant (Solenopsis geminata). These species are presented below in the typical manner of formal biological classification, with comments telling a little more about their biology and discussing how they are depicted in the movie. Figure 3. 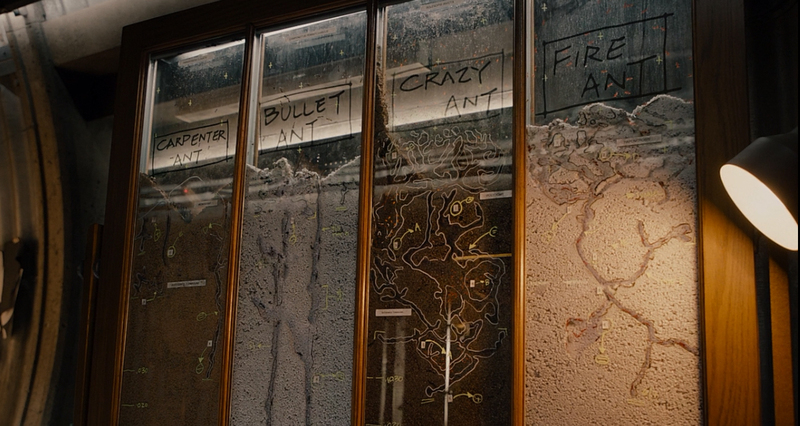 Scene from Ant-Man showing ant farms with the four different species. Paratrechina longicornis are pantropical insects (that is, distributed across the tropics), also present in urban areas and a remarkable agricultural pest (Witte et al., 2007; Ward, 2013). Its common name, crazy ant, is due to its swiftness and agitated behavior. Because of their opportunistic behavior, they are present in degraded areas, sometimes being dominant in this habitat (Wetterer et al., 1999). The movie mentions their well-known swiftness and dexterity, besides the fact that they can conduct electricity. We could not find anything proving the veracity about electrical conductivity in these ants (at least, nothing that would set them apart from all other animals), however, there are records of ants that are so attracted by electricity that they can damage wiring and electronic devices, such as computers and televisions (Slowik et al., 1996; Ball, 2008; Readhead, 2014). Figure 4. Scenes from the Ant-Man movie featuring crazy ants. Species of the genus Camponotus are cosmopolitan and habitat-dominant organisms (Hölldobler & Wilson, 1990), being the most representative group inside their subfamily. Carpenter ants construct their nests in wood, such as hollow trees, stumps, logs, posts, landscaping timbers, and the lumber used in buildings. This is likely the root of their common name. Nests are usually built in rotten, decayed wood, although some nests may extend into sound heartwood in the center of the tree (ISU Extension and Outreach, 2017). Camponotus pennylvanicus is widely distributed along the Nearctic region (the region from Greenland to the Mexican highlands), with a few records from the Neotropical region (the remainder of the Americas), setting up the canopy mosaic due to its twig-nesting behavior (Ward, 2013). In the movie, it is mentioned that carpenter ants have good movement and flight capacity. Figure 5. Scenes from the Ant-Man movie featuring carpenter ants. Ants of the genus Solenopsis are commonly named fire ants due to their painful sting. They are also considered a cosmopolitan insect pest in urban areas and the countryside, foraging and nesting on the ground (Wetterer, 2011; Ward, 2013). The species is identified in the movie as S. mandibularis Westwood, 1840, which is presently considered a synonym of another species S. germinata (Ghosh et al., 2005). However, it is notoriously difficult to differentiate species within the genus Solenopsis (Cuezzo & Fernández, 2015). 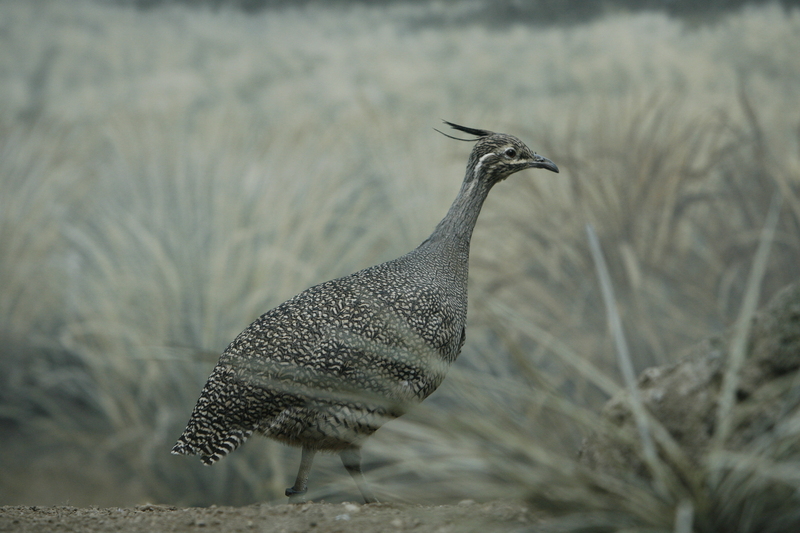 As such, it is possible that the species shown in the movie could be S. invicta Buren, 1972, an exotic species introduced in North-American territory. This species originally inhabits flooding grounds of the Amazon biome, where the colony can aggregate in a boat-shaped way and migrate to other areas through the water, like a rafting boat (Haight, 2006). In the movie, it is said that fire ants are excellent builders, showing the boat-shaped aggregation (Fig. 7). Figure 6. Scenes from the Ant-Man movie featuring fire ants. Figure 7. Scene from the Ant-Man movie where the fire ants build a raft to carry the hero. This species is also known as the bullet ant due to its strong and painful sting. They are arboreal (but ground-nesting), medium-sized ants with variable behavior depending on the habitat they live in (they are spread all around the Neotropical region). There are several studies about their omnivorous feeding behavior, foraging throughout the canopy (Fewell et al., 1996; Ward, 2013). They feed on nectar, however, they prefer animal resources, specially other insects, when available (Fewell et al., 1996). Brazilian indigenous peoples use these ants in rites of passage for teenage boys, who are submitted to the ants’ bites (Costa Neto, 2005). In the movie, they mention that the bullet ant sting is one of the most painful there is. Figure 8. Scenes from the Ant-Man movie featuring bullet ants. The Ant-Man movie shows quite a few interesting set of elements, which could be appreciated by the scientific community, entomologists and, especially, myrmecologists (researchers who study ants). Ants have a key role in the plot, being active and helping the leading figure in most situations. For example, Ant-thony, the carpenter-ant named by Scott Lang, is used as a mount throughout the film in order to get the hero to his destination. Such alliance, undoubtedly, allowed for a closer and more humanized relationship with the ants, that were previously addressed to by numbers by the first Ant-Man (and Lang’s mentor), Hank Pym. Another interesting fact, in terms of science, is that all of the ants shown in the movie do behave differently, resulting in different strategies used by Lang depending on the encounter. In the battle taking place at Yellow Jacket’s facility, fire-ants conducted Ant-Man through the plumbing, the crazy-ants were responsible for damaging the electronic circuit, the bullet-ants attacked Yellow Jacket’s thugs and the carpenter-ants provided air support. In addition, the respective size of the ants was well demonstrated in the movie, which can be observed comparing different species sharing the same scene. Such comparison is also possible using Lang as a reference when he shrinks to the insects’ size. In addition, some information regarding the lifestyle of ants are slightly approached in the plot. The capacity that these bugs have to endure and carry extremely heavy objects (in proportion to their own body mass) is mentioned, as well as the “selfless” act of sacrifice in favor of the colony’s well-being, typical of social insects. Ant-Man himself benefits from this kind of behavior. Figure 9. Ant species shown in the Ant-Man movie. A. Paratrechina longicornis. B. Camponotus pennsylvanicus. C. Solenopsis geminata. D. Paraponera clavata. Source: http://www.AntWeb.org; photos A–C by April Nobile, photo D by Will Ericson. It seems clear that the whole crew of the movie had a competent advisor about ant biology. However, specific details, such as Solenopsis mandibularis being a synonym and the possible mistake regarding Solenopsis identification show that, if any entomologist was consulted, probably he/she was not a Formicidae specialist. It was not mentioned during the credits any sort of consulting, although John (2015) revealed that the quantum physicist Dr. Spiros Michalakis (California Institute of Technology) was the scientific consultant. Additionally, some blogs (e.g., Cambridge, 2015; Lobato, 2016) identify the crazy-ant as Nylanderia fulva Mayr, 1862; however, we did not find any reason to doubt the identification given in the movie. All of the aspects presented here can be used in science outreach efforts, including teaching (Da-Silva et al., 2014a; Wolpert-Gawron, 2015; Da-Silva, 2016). With proper adjustment to a classroom setting, this content could be used as a tool to introduce students (middle school, high school and even college) to science in a much more fun way. For instance, some species mentioned in the plot are urban pests and can impact our quality of life. Paraponera clavata does not occur in the Nearctic region, which could be used as a stepping-stone to the subject of introduced fauna. The worldwide genus Paratrechina also counts with invasive species, which spread around the world through trade routes and impact society due to hospital and school infestations (Solis et al., 2007). In terms of science communication and popularization, movies like Ant-Man could also strongly contribute to demystify insects as “harmful animals”, a non-scientific statement that unfortunately is still common in textbooks and that helps to form the public’s negative image of such an important animal group (Da-Silva et al., 2014b). A more humanized treatment towards these (and other) animals in popular culture could be an alternative and suitable way to raise the public’s awareness for the conservation of natural resources in our planet. Ball, L.S. (2008) Ants swarm Houston area and foul electronics. Laredo Morning Times. Available from: http://airwolf.lmtonline.com/news/archi ve/051508/pagea6.pdf (Date of access: 09/Jul/ 2017). Cambridge, J. (2015) An entomologist’s scientific review of ‘Ant-Man’. Inverse. Available from: https://www.inverse.com/article/4658-an-ento mologist-s-scientific-review-of-ant-man (Date of access: 09/Jul/2017). Castanheira, P.S. ; Prado, A.W. ; Da-Silva, E.R. & Braga, R.B. (2015) Analyzing the 7th Art – Arthropods in movies and series. Vignettes of Research 3(1): 1–15. Coelho, L.B.N. & Da-Silva, E.R. (2016) I Colóquio de Zoologia Cultural – Livro do Evento. UNIRIO, Rio de Janeiro. Costa Neto, E.M. (2005) O uso da imagem de insetos em cartões telefônicos: considerações sobre uma pequena coleção. Boletín de la Sociedad Entomológica Aragonesa 36: 317–325. Cuezzo, F. & Fernández, F. (2015) A remarkable new dimorphic species of Solenopsis from Argentina. Sociobiology 62(2): 187–191. Da-Silva, E.R. (2016) Quem tem medo de aranhas? Análise da HQ Aracnofobia à luz da Zoologia. Revista Urutágua 32: 10–24. Da-Silva, E.R. ; Coelho, L.B.N. & Ribeiro-Silva, T.B.N. (2014a) A Zoologia de “Sete Soldados da Vitória”: análise dos animais presentes na obra e sua possível utilização para fins didáticos. Enciclopédia Biosfera 10(18): 3502–3525. Da-Silva, E.R; Coelho, L.B.N. ; Santos, E.L.S. ; Campos, T.R.M. ; Miranda, G.S. ; Araújo, T.C. ; Carelli, A. (2014b) Marvel and DC characters inspired by insects. Research Expo International Multidisciplinary Research Journal 4(3): 10–36. DeFalco, T.; Sanderson, P.; Brevoort, T.; Teitelbaum, M.; Wallace, D.; Darling, A. & Forbeck, M. (2009) The Marvel Encyclopedia. Updated and Expanded. DK, London. Doré, G. (1968) As fábulas de La Fontaine ilustradas por Gustavo Doré. Editora Brasil-América, Rio de Janeiro. Fewell, J.H. ; Harrison, J.F. ; Lighton, J.R.B. & Breed, M.D. (1996) Foraging energetics of the ant, Paraponera clavata. Oecologia 105: 418–527. Ghosh, S.N. ; Sheela, S. & Kundu, B.G. (2005) Ants (Hymenoptera: Formicidae) of Rabindra Sarovar, Kolkata. Records of the Zoological Survey of India, Occasional Papers 234: 1–40. Haight, K. (2006) Defensiveness of the fire ant, Solenopsis invicta, is increased during colony rafting. Insectes Sociaux 53: 32–36. Hölldobler, B. & Wilson, E.O. (1990) The Ants. Harvard University Press, Cambridge. ISU Extension and Outreach (2017) Carpenter ant. Iowa State University – Horticulture and Home Pest News. Available from: https://hortnews.ex tension.iastate.edu/carpenter-ant (Date of access: 12/Aug/2017). John, T. (2015) There is some real science behind the new Ant-Man film. Time. Available from: http://time.com/3960542/science-ant-man-film (Date of access: 14/Jul/2017). Levey, D.J. & Byrne, M.M. (1993) Complex ant-plant interactions: rain forest ants as secondary dispersers and post-dispersal seed predators. Ecology 74(6): 1802–1812. Lobato, C. (2016). Las hormigas de Ant-Man. La ciencia de la vida. Available from: http://bio geocarlos.blogspot.com.br/2016/02/las-hormig as-de-ant-man.html (Date of access: 09/Jul/ 2017). Pérez, R. & Mendoza Almeralla, C. (2006) Los insectos em el cine. Un estudio preliminar. Boletín de la Sociedad Entomológica Aragonesa 38: 415–421. Readhead, H. (2014) Forget giant rats: Super ants discovered in London. Available from: http://metro.co.uk/2014/07/25/forget-giant-rat s-super-ants-discovered-in-london-4809638/#ix zz4oGTzO4oE (Date of access: 29/Jul/2017). Slowik T.J.; Thorvilson H.G. & Green B.L. (1996) Red imported fire ant (Hymenoptera: Formicidae) response to current and conductive material of active electrical equipment. Journal of Economic Entomology 89: 347–352. Solis, D.R. ; Bueno, O.C. ; Moretti, T.C. & Silva, T.S. (2007) Observações sobre a biologia da formiga invasora Paratrechina longicornis (Latreille, 1802) (Hymenoptera, Formicidae) em ambiente urbano brasileiro. Revista Brasileira de Zoociências 9(1): 75–80. Souza, L.N. (2009) Relações interfabulares: “A cigarra e as formigas” de Monteiro Lobato. Anais do III CELLI (Colóquio de Estudos Linguísticos e Literários). Available from: http://www.ple.uem.br/3celli_anais/trabalhos/estudos_literarios/pdf_literario/063.pdf (Date of access: 21/Jul/2017). Ward, P.S. (2013) AntWeb: Ants of California. Available from: https://www.antweb.org (Date of access: 08/Jul/2017). Wetterer, J.K. (2011) Worldwide spread of the tropical fire ant, Solenopsis geminata (Hymenoptera: Formicidae). Myrmecological News 14: 21–35. Wetterer, J.K.; Miller. S.E. ; Wheeler, D.E. ; Olson, C.A. ; Polhemus, D.A. ; Pitts, M.; Ashton, I.W. ; Himler, A.G.; Yospin, M.M. ; Helms, K.R. ; Harken, E.L.; Gallaher, J.; Dunning, C.E. ; Nelson, M.; Litsinger, J.; Southern, A. & Burgess, T.L. (1999) Ecological dominance by Paratrechina longicornis (Hymenoptera: Formicidae), an invasive tramp ant, in Biosphere 2. The Florida Entomologist 82(3): 381–388. Witte, V.; Attygalle, A.B. & Meinwald, J. (2007) Complex chemical communication in the crazy ant Paratrechina longicornis Latreille (Hymenoptera: Formicidae). Chemoecology 17: 57–62. Wolpert-Gawron, H. (2015) Using Ant-Man in the classroom. Available from: http://tweenteache r.com/2015/07/24/using-ant-man-in-the-classr oom (Date of access: 16/Jul/2017). Zuben, A.P.B. ; Almeida, M.G.R. ; Lira, E.S. & Figueiredo, A.C.C. (2004) Manual de controle integrado de pragas. Prefeitura Municipal de Campinas, Campinas. Elidiomar R. Da-Silva has a PhD in Zoology by the Museu Nacional (Rio de Janeiro) and is Professor of Biological Sciences at UNIRIO since 1994. A pop culture fan, especially of everything related to superheroes, it does not matter for him if it is Marvel or DC – he likes them both. Thiago R. M. de Campos has a master’s degree in Neotropical Biodiversity by UNIRIO (Rio de Janeiro) and is currently a high school teacher at Colégio dos Santos Anjos. Also a pop culture fan of every media, but especially games. 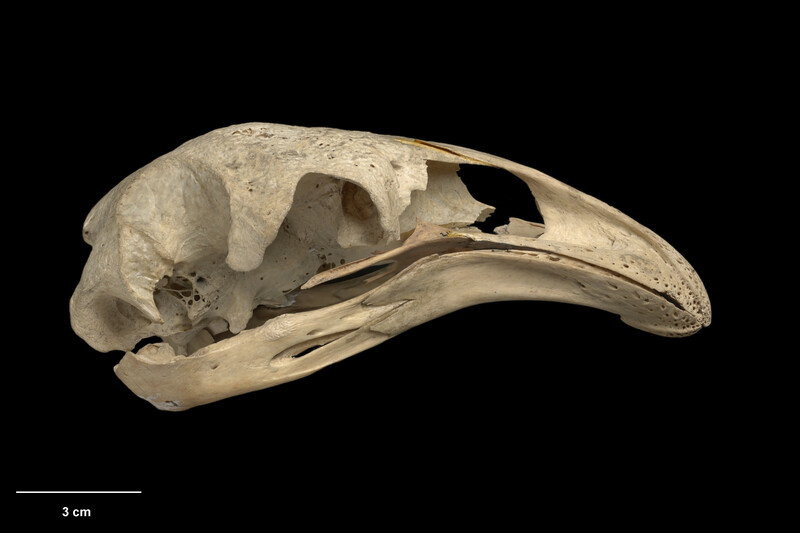 This article stems from an original presentation as a poster during the I Colóquio de Zoologia Cultural (2016; Rio de Janeiro, RJ, Brazil) and its abstract, published on the event’s proceedings (Coelho & Da-Silva, 2016). Independent researcher. São Paulo, SP, Brazil. Super heroes: their attitudes and honor codes make them heroes; their extraordinary abilities make them super. Such abilities may be believable, based on mundane training and technology but, more often than not, they surpass not only human limits, but the borders of physics as well. For example: moving faster than light, ignoring laws of mass and energy conservation, manipulating matter and energy with a thought, etc. Many questions come to mind when thinking about supers, one in particular: what are the limits of what is physically possible? When a character receives an extraordinary power, how does it interact with an ordinary world? In this study, I’d like to invite the reader to explore the boundaries of one of the most classical archetypes: the super-runner. As I don’t want to cause indignation to any fan while talking about limitations of his or her favorite character – such as Flash (Fig. 1), Quicksilver (Fig. 2) and other famous speedsters – let’s adopt an unknown super hero, henceforth called Captain Run (any similarity with characters from any multiverse is just a coincidence), to whom I shall give increasing powers, testing how fast a super-runner can go. Figure 1. Different versions of DC’s The Flash. 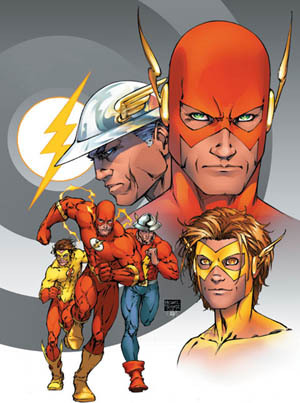 Image extracted from Wikimedia Commons; artwork for the cover of Flash (vol. 2, #208; DC Comics, May 2004), art by M. Turner & P. Steigerwald. Figure 2. Marvel’s Quicksilver. Image extracted from Wikimedia Commons; panel from Avengers (vol. 3, #38; Marvel Comics, March 2001), art by A. Davis. Some may find it weird to talk about “super-runner” instead of using the term “speedster”. The reason is that I will limit our study to powers that are (roughly) related to running. So, I will avoid time-stopping, n-th dimension jumping, space compression and any other “physics’ law-suppressing” powers, otherwise there would be little physics left to study. That being said, from now on, I may use both terms speedster and super-runner, but Captain Run’s powers will be limited to running abilities. Let’s start slow. What if the Captain had human speed? The top speed registered for a running human was achieved by Usain Bolt in the 100 meters race at Berlin 2009 (Fig. 3; German Athletics Federation, 2009), when he travelled from the 60m to the 80m line in 1.61 seconds. This means a speed of 12.4 m/s or 44.6 km/h. Figure 3. 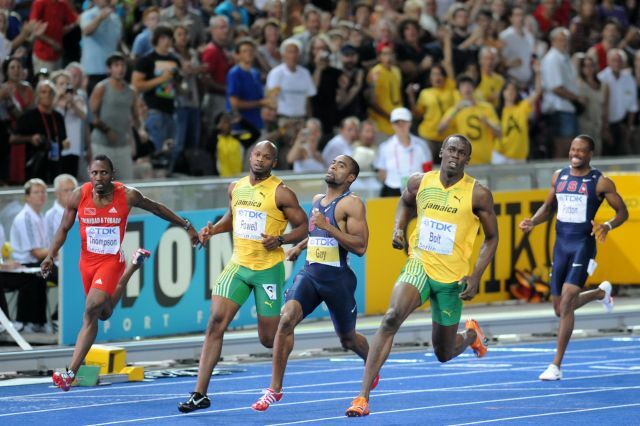 Usain Bolt (second from right to left) winning the 100 m in Berlin 2009. Image extracted from Wikimedia Commons; E. van Leeuwen (2009). This speed is comparable to that of cars in urban areas, a remarkable feat for a biped made of flesh and bone. But if our goal is to go beyond real humans, how about the limits of the animal kingdom? The fastest known land runner is the cheetah (Acinonyx jubatus) who, when pursuing their prey, can run at up to 100 km/h for short periods of time (Carwardine, 2008). 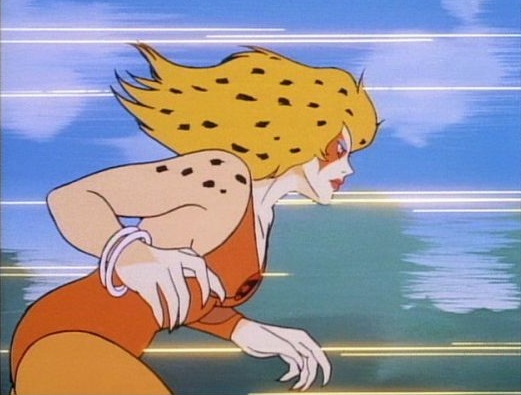 That clearly served as inspiration for the Thundercat speedster Cheetara (Fig. 4). Figure 4. Cheetara, from Thundercats. Image extracted from www.thundercatsfans.org; screen capture from the animated series. Better, but not enough. Our hero is still stuck to biological limitations: muscle contraction rate, step mechanics, motor coordination, metabolism, fatigue, etc. Alright, it’s time to go super! Let’s give Captain Run the following powers: (1) the ability to move body parts as fast as needed, no longer constrained by physiology; (2) reflexes and brain functions fast enough to coordinate such movements; (3) the capacity to accumulate enough energy and use it with enough potency to enable this speed; and (4) sufficient invulnerability to avoid harm from the usage of his powers within normal circumstances. Captain’s uniform is super resistant and includes special googles that repel any particles, never getting blurry. With all that, what limits our hero? Basically, friction. When someone stands on a horizontal surface, their body is pulled towards the planet’s center due to gravitational attraction, aka weight force. Their feet touch the ground and apply a force on it, whose reaction is applied by the ground on the feet and balances the weight force, so that the body remains static. This contact force is perpendicular to the surface, and is usually called normal force (FN). When someone tries to run, their feet (or their footwear’s sole) perform a movement whose tendency would be to slide backward. If there is too little friction, as on an oil puddle, the runner slips. 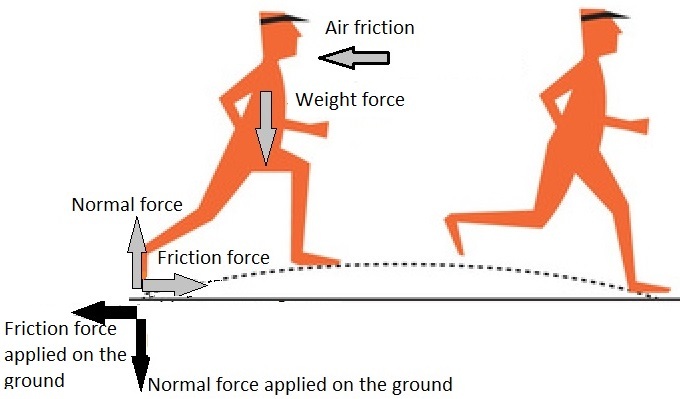 However, if the interaction between foot and ground is sufficiently strong to resist slipping, the foot will push the ground backward while the ground will push the foot forward, propelling the runner forward (Fig. 5). In this case we have what is called static friction: a property of two surfaces to resist sliding so that there is no relative movement. Figure 5. A runner’s force diagram. Image modified from Forces in Running (http://forces-in-running.weebly.com/). where Ffriction is the friction force, FN is the normal force, and μ is the friction coefficient, an empirical dimensionless number found through many experiments with different materials and conditions. If the Captain’s foot tries to apply a horizontal force greater than μ∙FN onto the ground, his foot slips; therefore, μ∙FN is the maximum force he can use to impel himself forward. The analysis gets more complicated when we consider the human step mechanics, which involves vertical displacement, the feet and legs changing position, forces changing directions at every moment, among other complications. In order to focus on the overall external physics, I will use a radical simplification, adopting average values and ignoring most of the step mechanics. In this simplified model, the normal force will be considered constant, and a horizontal trajectory will be chosen so that there is no vertical displacement. Therefore, in general conditions, the normal force’s magnitude will be equal to the weight force (we will see later on that this can change under certain circumstances). Also, the friction coefficient μ will be considered constant and adopted as 1, which represents boots made of tire rubber on dry asphalt from a regular street (lower values represent more slippery surfaces; higher values are found in more adherent interactions, like rubber shoes on rubber floor; for more examples, see The Engineering ToolBox, 2017). Simulating a wide range of values for a varying μ as the Captain runs would consume too much time and effort while adopting a scenario as fictional as any. If we have to pick a track, let’s stick to the basics. With these premises, the expression for friction force says that Ffriction ≤ weight. By Newton’s second law, one may conclude that Captain Run could achieve an acceleration equal to the gravitational acceleration, about 9.8 m/s². Does this mean he can speed up at 9.8 m/s², as if he were “free falling forward” indefinitely? Not really. And that is because we still haven’t talked about the other “friction”: the air resistance. The interaction of a moving body and the fluid it is immersed in depends on the body’s size, geometry and position, and increases with the relative speed between them, generating a force opposed to the movement. This force may be called drag, air friction or air resistance. 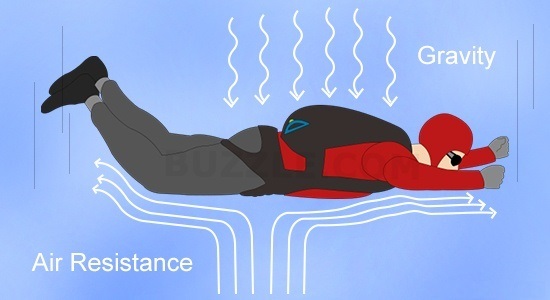 A free falling body’s acceleration decreases as the drag increases, up to the point when drag = weight. At such a point, it is said that the body has hit its terminal velocity. For a skydiver with open arms and legs and parachute still closed (Fig. 6; this is the closest to a person running with an erect posture that can be found in literature), the terminal velocity is of about 60 m/s or 216 km/h (Nave, 2012). This is fast for sure, but not as extraordinary as we wanted; after all, there are land vehicles which can go faster than that. So, how can we go faster if, at this point, the air resistance equals the maximum propelling force we can achieve? Let’s take a deeper look. Figure 6. Depiction of a freefalling skydiver. Image extracted from Buzzle (www.buzzle.com). where Fdrag is the drag force; ρ is the fluid’s density; A is the reference area, which can be the total area in contact with the fluid, or the frontal area (the “shadow” the body creates in the fluid’s flow lines); Cdrag is the drag coefficient, a dimensionless number obtained by experiments (it depends on the area A considered and the body’s geometry and stance, and the fluid’s viscosity); and V is the relative speed between body and fluid. Considering this equation, which powers or tricks could the Captain use to run faster? He could change his stance to reduce the drag, much like bikers leaning and even lying on their motorcycles in order to generate less drag (this may explain why some authors depict their characters running with their torso in a horizontal stance). Still, the limit wouldn’t be “super” higher. The Captain could try some technology or obtain a new power to shrink (reducing the A∙Cdrag term) while keeping the same mass, or increase his mass while keeping his shape (with a suit made of super heavy materials, for example). However, he would then have another problem because, at some point, his weight would be concentrated in such a reduced area, that he would possibly pierce the floor and leave a trail of destruction in his path. By the way, collateral damage would be an issue if Captain Run were to get close to another famous limit: the sound barrier (Fig. 7). The sound travels at different speeds depending on characteristics of the medium transmitting it; in air at 20°C and at sea level, the speed of sound is 343 m/s or 1,236 km/h. When a body travels in a fluid with a speed equal to or higher than the speed of sound, it provokes shockwaves that release a great amount of sonic energy, a phenomenon called “sonic boom”. This sonic boom, when caused by airships flying kilometers above the ground, can shake some houses’ windows. So how much damage would Captain’s sonic boom cause if generated in the middle of the street? In a best case scenario, bystanders would suffer temporary deafness and glass objects would be shattered, resulting in a high chance of getting sued (Gilliland, 2014). Figure 7. 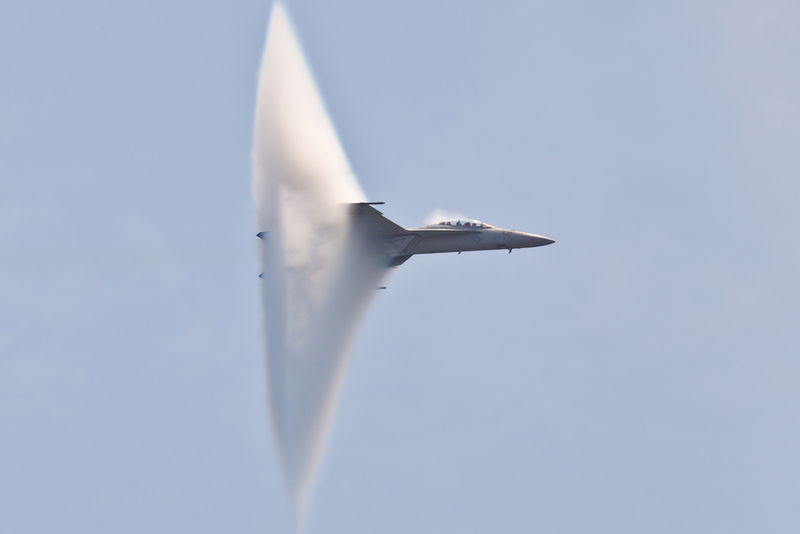 Sonic boom forming as an aircraft breaks the sound barrier. Image extracted from Shutterstock (www. shutterstock.com). Well, as destroying the pavement and bursting eardrums are usually villains’ jobs, let’s avoid that by giving our hero another (quite unrealistic) power: the capacity of not interacting with the air. Let’s assume that he can generate a field around his body that distorts physics so he doesn’t generate turbulence, drag or sonic booms. 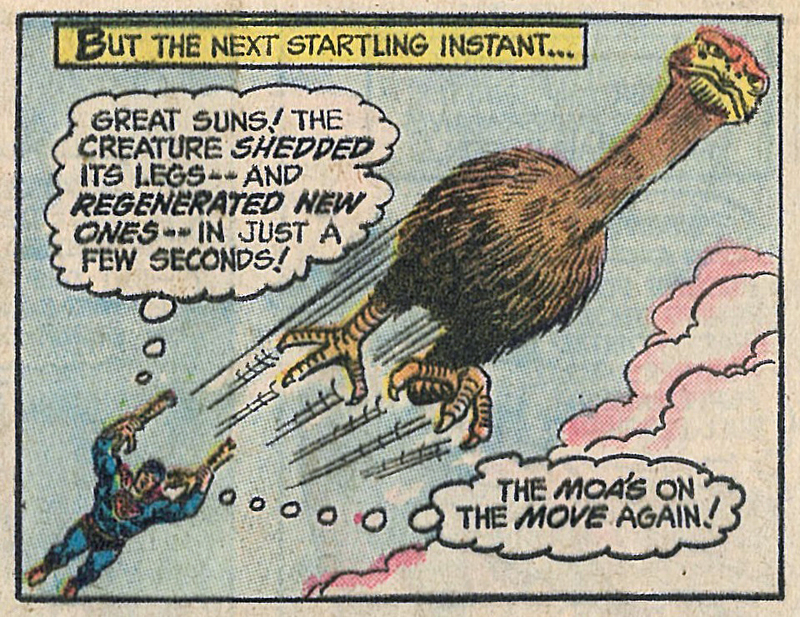 With such not-very-realistic science, Captain can finally reach the speed of light, right? Not so fast. That is because, until now, I have been applying an implicit simplification: the path through which the Captain runs was considered a straight line. Even though this is an adequate model when dealing with “everyday” velocities, we must remember that Earth’s surface is not flat, but round, so one actually performs a curved trajectory when running straight forward. This makes a difference when we start to go superfast. where Fcent is the centripetal force needed for a body with mass m moving at a speed of magnitude V to follow a curve with a radius R (Fig. 8). In most cases, as Earth’s radius is quite big and V is not too high, Fcent is low enough so one can ignore it without distorting the results, but as V increases, that‘s not the case anymore. When I estimated the propelling force as being equal to the weight force, I assumed that FN = weight, so the resulting force in the vertical direction would be null. However, as we make a curve around the Earth, we need a resulting force equal to the centripetal force, so that the difference between the weight and normal force keep the body from leaving the planet’s surface. where Fg is the gravitational force between two bodies; G is the universal gravitational constant, which was obtained through experiments to correlate Fg and the other physical quantities; M is the mass from one of the bodies, in our case, Earth’s; m is the other body’s mass, in our case, Captain’s; R is the distance between the two bodies’ centers of mass. I will assume Earth’s shape to be a sphere (which is not exactly true, but this is not the worst approximation I’ve done so far) and that Captain’s height is negligible in face of Earth’s medium radius, so that R = 6,371 km. When we study a problem in planetary scale, another issue arises: the Coriolis force, a fictitious force that appears when a body tries to move on a spinning frame of reference (such as the Earth) and the former’s speed is not parallel to the latter’s axis of rotation (Persson, 2005). Earth spins with an angular speed of 2π/day around an axis that passes through the planet from North to South. If the Captain stands still at the equatorial line, he performs a circular trajectory with a radius of 6,371 km at a speed of (2π/day) times 6,371 km. Standing at the poles, he just spins around himself, with zero speed. At each latitude between these extremes, he will have a different linear speed caused by rotation. Now, let’s assume he is running at super speed and steps on the North Pole. At first, he would have a speed towards south only. If he goes on, however, he will arrive at points that rotate at a certain speed towards east, so two things may happen: either he accompanies Earth’s rotation, which means he needs an additional force to impel him to the east (it would “consume” part of the friction); or he keeps running south, and appears to be sliding west in relation to the ground. Adding Coriolis force to the analysis would be way too complicated, but there is a way (literally) around this: if the Captain runs only over the equatorial line, the ground would always be at the same speed (ignoring mountains and other geographic features). In this case, the Coriolis force would no longer affect our hero’s speed direction to the sides (it becomes 100% vertical, like weight and centripetal forces), and we can build a simpler model using his speed referenced by Earth’s center by applying a correction to speed due to rotation. When achieving such a speed, any person would enter an orbit close to the ground. At this speed, the gravitational force keeps the body in a circular trajectory, keeping it from escaping into space, but not allowing enough interaction with the ground to have any normal force or friction force. Even if the Captain wore an extremely massive armor or super-adherent boots to increase his traction, when he reached 7,909 m/s relative to Earth’s center, there would be no more contact with the floor for him to accelerate any further. Basically, the Captain would be floating a few centimeters above the ground, without touching it with his feet, and thus limiting his running speed. If I consider that any point at the equatorial line moves at 465 m/s relative to Earth’s center, due to the planet’s rotation, and that the Captain can move at up to around 7,900 m/s, when seen by a reference on the ground he can run at 8,365 m/s when moving towards west, or 7,435 m/s when moving towards east. Therefore, at max speed, he could go around the planet in about 79 minutes and 40 seconds. Not instantaneous, but not bad either. Still, as we have seen, his acceleration drops as his speed increases. Therefore, the faster he is, the harder it is for him to get even faster. With that said, how long would Captain Run take to reach top speed? Acceleration is the rate at which speed varies in time. As we have seen, a super runner has limitations to his acceleration, so he can’t reach the speed of sound in the blink of an eye. That, by the way, is one of the most common stunts performed by speedsters that contradicts the laws of physics, demanding explanations like time distortion. 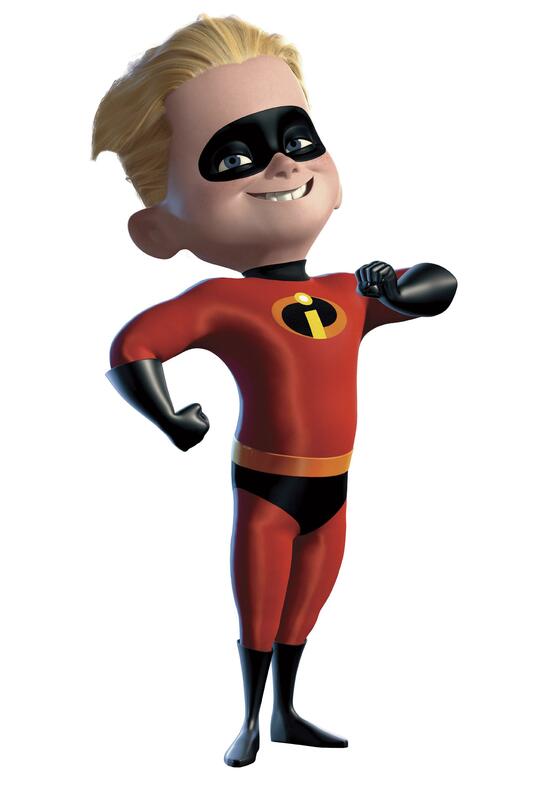 For example, in Disney-Pixar’s The Incredibles, the young speedster Dash (Fig. 9) is presented as a boy who can run superfast, without mentioning time-space manipulation abilities. He doesn’t even ignore air resistance, for his hair is clearly dragged when he is running. Yet, Dash performs an impossible prank where he runs across a room full of people without anybody noticing, not even with the aid of a camera. Figure 9. Dash, from The Incredibles. Image extracted from The Disney Wiki (http://disney.wikia.com). In a rough estimation, he runs about 5 m from his seat to the front of the room, and 5 m back to his seat, all in the time between two frames captured by a hidden video camera. Even the cameras from the silent films period took images at a minimum rate of 16 frames per second (Wikipedia, 2017a), which means he had 0.0625 seconds to do it, at best. So, a minimum average speed of (2 x 5 m) / (0.0625 seconds) = 160 m/s was needed. What is the problem with that? First of all, he was wearing common clothes at the time and not his special anti-air friction suit, so he would at least provoke a sudden blow of wind and a lot of noise, startling everybody in the room. Second, if he had 0.0625 seconds to do all the work, he had even less time to accelerate and decelerate. 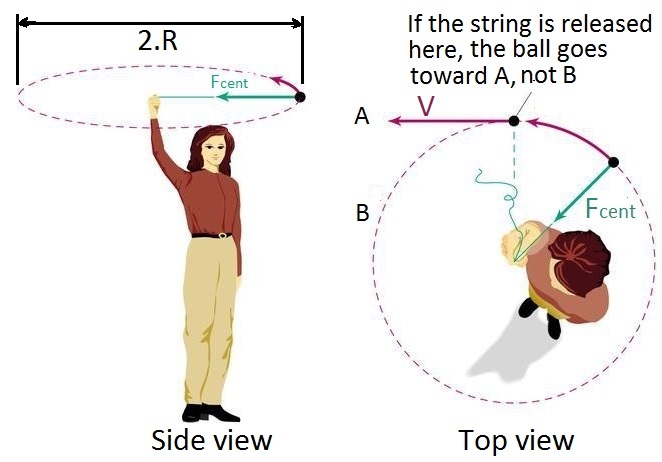 When he got to the front of the room and turned back, he had to reverse accelerate at more than (2 x 160 m/s) / (0.0625 s) = 5,120 m/s², or 522 times the gravity acceleration. There is no way his regular shoes would stand so much friction with the ground without some damage or skidding occurring. Also, if he tried some maneuver like a wall-kick, he would probably poke a hole through the wall, not to mention the noise caused by the impact. Incredible indeed. Right, you can’t run with infinite acceleration without destroying some objects in the way. Isn’t there another way? One “possible” solution to the acceleration limitation is to use jet propulsion: by discharging a stream of gas at high-speed backwards, one is propelled forward. 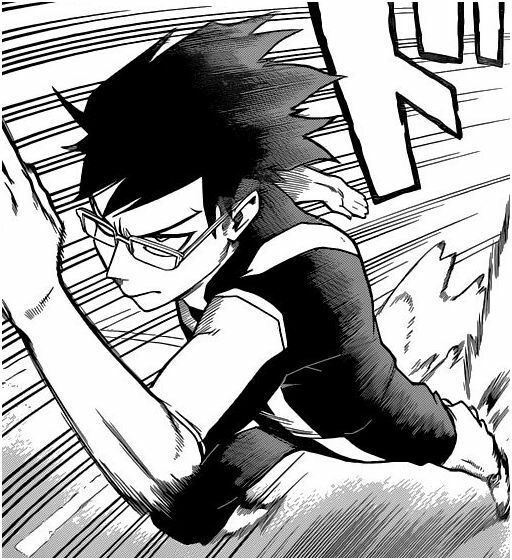 One example is the hero in training Tenya Iida, from the manga/anime Boku no Hero Academia (Fig. 10), who has some sort of bio-organic engines in his calves. The story has yet to explain (if it ever will) how much thrust he gets from the expelled gas and how much comes from superfast leg motion. How he coordinates the propulsion with the variation of his legs’ positions while running is another mystery. Figure 10. Tenya Iida from Boku no Hero Academia, using his powers. Image extracted from Boku no Hero Academia Wiki (http://bokunoheroacademia.wikia.com), excerpt from the manga. 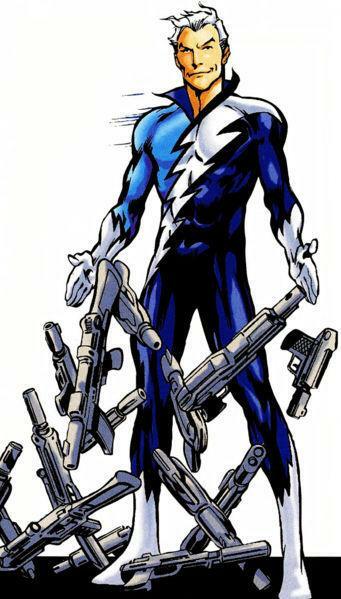 Anyway, this can help at some level, but again there is the collateral damage issue: once the gas leaves the hero’s body or equipment, it will interact with the environment, possibly causing sonic booms or pushing unaware bystanders away, depending on the acceleration he is trying to achieve or the speed he is running at. With all the constants known, the only variables left are the acceleration and the speed. Through numerical calculations I can estimate how these two quantities would vary if the Captain tried to achieve his maximum speed at the maximum available acceleration (Table 1). Starting his movement standing at the equatorial line (rotating east at 465 m/s relative to Earth’s center, due to planetary rotation), running towards west, he would take 35 seconds and go through 6 km to reach the speed of sound relative to the ground. Table 1. Variation in speed and acceleration as Captain Run speeds up. He would take 47.4 seconds and 11 km to reach 465 m/s, or 0 m/s relative to Earth’s center. After 311 seconds and 469 km run, his speed would be 2,501 m/s relative to Earth’s center and his acceleration would have dropped by 10%. where V* is the relative speed (reference on the ground), a* is the relative acceleration, Ve is the equatorial line rotational speed and a0 is the maximum possible acceleration, when V=0. 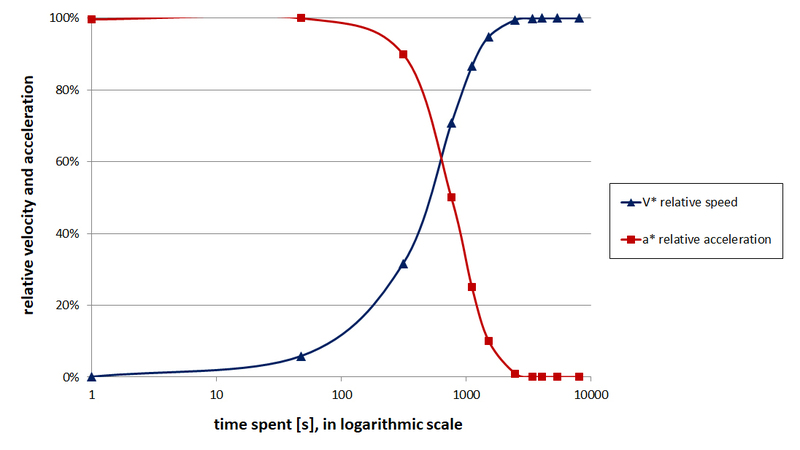 Plotting this on a graph in logarithmic time scale, we have Figure 11. Figure 11. Variation in relative speed and acceleration as Captain Run speeds up. One can see from Table 1 that, after 2,458 seconds (about 41 minutes), 16,000 km run (equivalent to almost 10 time zones), our hero would reach 99% of his top speed, and would have only 1% of his maximum acceleration still available. There is no highway long enough for this, but… moving on. After 4,050 seconds, he would reach 99.99% of his max speed Vorb. Any irregularity on the ground, like a speedbump, might be used as a steppingstone to get one last push and hit the zero height orbit speed. According to these estimations, he would take 5,353 seconds (about 89 minutes) to finish his trajectory around the planet and, from then on, would orbit close to the ground at 7.9 km/s (establishing an orbital period of 5,060 seconds or about 84.3 minutes). That is, if he didn’t collide with some object in his path, like a tree, building, mountain, etc. Given Earth’s topography, it doesn’t sound very likely. Another problem thus becomes evident: how will the Captain dodge obstacles? As we have seen, when one’s speed increases, the interaction with the ground decreases. This means his acceleration is more limited, not only to make him go faster, but also to hit the brakes, or even to perform a curve and avoid collision. Then, another question comes to mind: what is the speed limit if he intends to dodge from random obstacles? Sure, it depends on the nature and size of such an obstacle, but I can try to estimate it. Let’s assume Captain is running in an open field, when he sees a small town. He decides entering the town is not a good idea, since he might hit innocent citizens, so he prefers to contour it. The distance to the horizon line depends on a combination between the planet’s curvature and the height of the observer’s eyes above the ground (the altitude as well, but to simplify everything, let’s consider he is at sea level). Some estimates show that, for a point of view with heights varying from 1 to 2 meters above the ground, the distance to the horizon line varies from 3.57 to 5 kilometers (Wikipedia, 2017b). To use round numbers, let’s say the distance to the horizon line is d = 4 km, and the town’s shape can be represented by a circle with a radius of rT = 1 km. When the Captain spots the town’s border, he immediately begins to perform a curve of radius r without decelerating, using all the friction force with the ground as centripetal force. Figure 12 shows this problem’s geometry. In this case, the Captain would need to perform a curve of 12 km or less in radius. As we have shown, the faster he goes, the lesser friction force is available, and the harder it is to make a sharp turn. Figure 12. Problem’s geometry: a speedster trying not to hit a small town. In this case, V is the speed considering a reference in Earth’s center, while the speed that goes into the centripetal force equation is Vground because the curve is performed on the ground reference. When the Captain runs towards west (the direction determines the relation between V and Vground), the maximum speed which still allows him to dodge the small town is Vground = 343 m/s (by coincidence, it is close to the speed of sound). Actually, as this speed is low in a planetary scale, the m∙V²/R component of the centrifugal force can be disregarded, and the result is about the same whichever direction the Captain is running. As I estimated, our super runner runs about 6km to go from zero to 343 m/s. If he attempted to just brake instead of contouring the town, he would need about the same distance to decelerate, which means that he would not be able to stop in time to avoid the collision. In other words, even if the Captain is theoretically capable of running at up to 7,900 m/s (close to Mach 23), if he goes beyond 343 m/s (about Mach 1), he would take the risk of being unable to deviate from large obstacles such as forests or a small town like the one presented in the example above. This could be even worse depending on visibility conditions or a slippery terrain. I have estimated that super runners should stay under the speed of sound in order to avoid accidental collisions. Well, what if collision is the goal? For example, if a villain plans to conquer the city with a giant robot which Captain Run must destroy to save the day? How powerful would the impact be? Assuming Captain is of average weight, let’s say 75 kg, and is running at top speed relative to the ground (8,365 m/s), he has a kinetic energy of 2.6 gigajoules (GJ). When measuring the energy of explosions, it is common to use a unit called ton of TNT, which is equal to 4.18 GJ. Therefore, a speedster running at top speed and punching, for example, a giant robot, would hit it with an energy equivalent to 620kg of TNT. This may sound “weak”, but one must remember that all this energy would be applied to a surface the size of a human fist in a mostly unidirectional way, instead of spreading spherically like a bomb explosion usually does. Such destructive potential should not be neglected. However, such an attack would be quite impractical. According to our estimations, Captain Run would need a 16,000 km long unimpeded straight road and take more than 40 minutes to reach his top speed, giving the villain plenty of time to just move the robot out of the collision course, quickly frustrating our hero’s plans. So far, I have limited this study to the realm of an earthling super runner: a person on Earth whose powers involve high running speed on the ground, without the ability to distort time, space or gravity. But wait: what if our hero went to a bigger planet, with higher mass and gravity acceleration, how fast could he go? Well, if one uses a similar math for Jupiter, the biggest planet in our solar system, it has M= 1.898 x 1027 kg and R= 1.42984 x 108 m (NASA, 2017), and the orbital speed at its surface would be 29.8 km/s, almost four times faster than Earth’s top speed. There is just one tiny issue: larger planets, such as Jupiter, tend to be gaseous, so it would be a little hard to run on them. 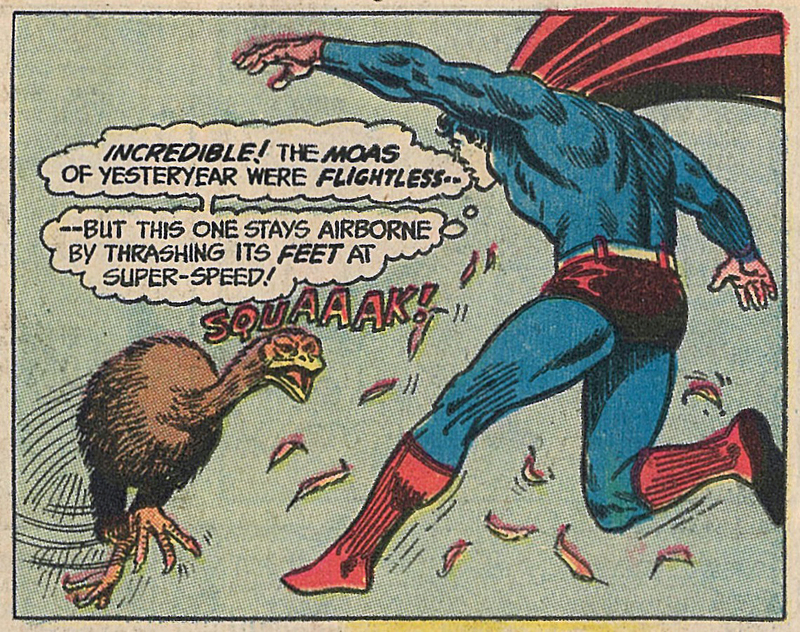 Well, how about giving Captain the power to run over any “surface”? Then, if he finds a big enough celestial body, he would be able to reach the speed of light, yes? Well, probably not. The speed of light moving through vacuum (it changes depending on the medium it is moving through) is the theoretical limit for displacement rate in our universe, and equals about 300 thousand km/s (10,000 times the estimated maximum speed on Jupiter). The thing is, a celestial body whose surface orbital speed equals the speed of light would have a gravitational field so strong that any photon moving close to it would be unable to move away, getting trapped. In other words, Captain Run would have to run on a black hole to reach the speed of light. As if resisting the enormous forces wouldn’t be tricky enough, he would also have to start his race at a lower speed, in which case his matter would be sucked and disintegrated by the black hole, ending his career in quite a tragic way. Another way would involve building a planet-sized ring shaped track, and our hero running in its internal surface, like a roller coaster cart in a loop. The faster he goes, the higher the normal force due to centrifugal effects, increasing the friction force available for acceleration. But this increasing force takes its toll. At some point before hitting the speed of light, the force put on the track would be comparable to those occurring on the surface of a black hole, since Captain Run has an unneglectable mass. At that point, the atomic interactions in either the track’s material or Captain’s body would not bear the stress anymore, and something would collapse in a very destructive accident. When presenting speedsters’ stories, it is easy to make mistakes concerning physics (or simply ignore physics entirely), most of them related to the limits of acceleration. Considering a super-runner on Earth, if there was a highway completing a loop around the whole planet following the equatorial line, our hero would be able to reach a maximum speed of 7.9 km/s relative to Earth’s center (up to 8.4 km/s relative to the ground, depending on the direction he is running). From then on, due to gravitational and centrifugal effects, he would be unable to accelerate any further. Even with quite unrealistic capabilities, such as ignoring atmospheric interactions and biophysical limitations, our hero can barely get to 0.01% of a photon’s speed. Still considering Earth’s limitations, the super-runner could punch an immobile target with energy equivalent to 620 kg of TNT, supposing he had enough time and space to prepare his attack and his body being able to withstand the impact. However, for safety’s sake, it would be inappropriate to go beyond 343 m/s, otherwise accidental collisions might cause undesirable damage to people, property, fauna and/or flora. In order to reach the dream of light speed, one could try to use more massive celestial bodies, or build a planet-sized ring track. Still, unless one had superpowers and materials able to withstand the forces found on a black hole’s surface, disintegration would come long before the speed of light. In conclusion, unless we include powers to further distort time-space or other physical laws around one’s body, even without considering relativistic effects, we can say it is impossible for a hero to run at the speed of light. Carwardine, M. (2008). Natural History Museum – Animal Records. Sterling, New York. Engineering ToolBox, The. (2017) Friction and Friction Coefficients. Available from: http:// www.engineeringtoolbox.com/friction-coefficie nts-d_778.html (Date of access: 20/05/2017). German Athletics Federation. (2009) Biomechanical analyses of selected events at the 12th IAAF World Championship in Athletics, Berlin 15–23 August 2009. Available from: https://www.iaaf.org/about-iaaf/documents/re search (Date of access: 20/05/2017). Gilliland, J. (2014) Flash’s liability for breaking windows. The Legal Geeks. Available from: http://thelegalgeeks.com/2014/11/20/flashs-lia bility-for-breaking-windows/ (Date of access: 20/05/2017). NASA, National Aeronautics and Space Administration. (2017) Planetary fact sheet. Available from: http://nssdc.gsfc.nasa.gov/plane tary/factsheet/ (Date of access: 21/05/2017). Nave, C.R. (2012) HyperPhysics. Available from: http://hyperphysics.phy-astr.gsu.edu/hbase/ind ex.html (Date of access: 20/05/2017). Persson, A.O. (2005) The Coriolis Effect: four centuries of conflict between common sense and mathematics. Part I: A history to 1885. History of Meteorology 2: 1–24. Wikipedia. (2017a) Frame rate. Available from: https://en.wikipedia.org/wiki/Frame_rate (Date of access: 20/05/2017). Wikipedia. (2017b) Horizon. Available from: https://en.wikipedia.org/wiki/Horizon (Date of access: 20/05/2017). Gabriel understands that, if physics were to be taken too seriously, and every interaction had to be carefully calculated, there would be a terrible shortage of stories about supers available to be enjoyed. Nevertheless, he will continue in his journey to unveil possible and impossible explanations for the mysteries of the multiverse based on the science of our boring real world and, maybe one day, find a way to become an actual supervill… hero. Superhero. Of course. 1 Department of Psychology, University of York, York, UK. 2 School of Psychology, University of Lincoln, Lincoln, UK. 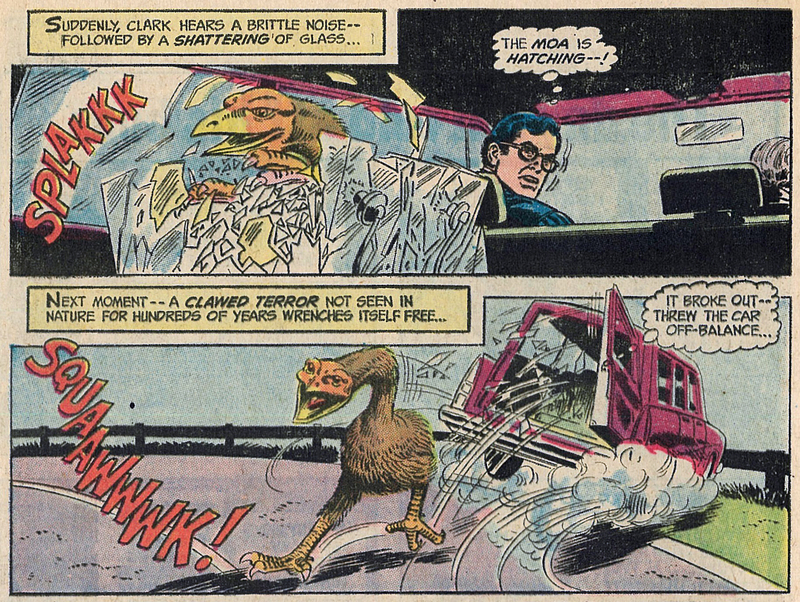 As a mild-mannered reporter, Clark Kent is able to blend into human society without drawing much attention to himself. Although he utilises several methods of disguise (clothing, posture, hair style), perhaps his most famous is a simple pair of glasses (see Figure 1). 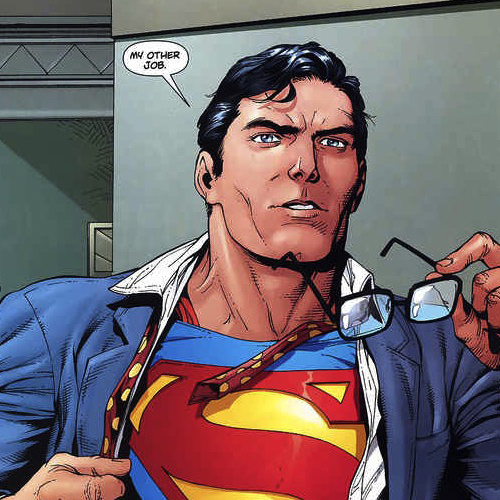 We know that wearing glasses can make you look more educated and intelligent (e.g., Hellström & Tekle, 1994), but for Superman, the goal is primarily to hide his true identity. Of course, one of the cornerstones of enjoying superhero fiction is that we suspend our disbelief and try to ignore the obvious questions (for example, how useful or plausible is it that Squirrel Girl can communicate with and understand squirrels?!). However, the scientist inside us sometimes breaks through and we are given the opportunity to investigate. 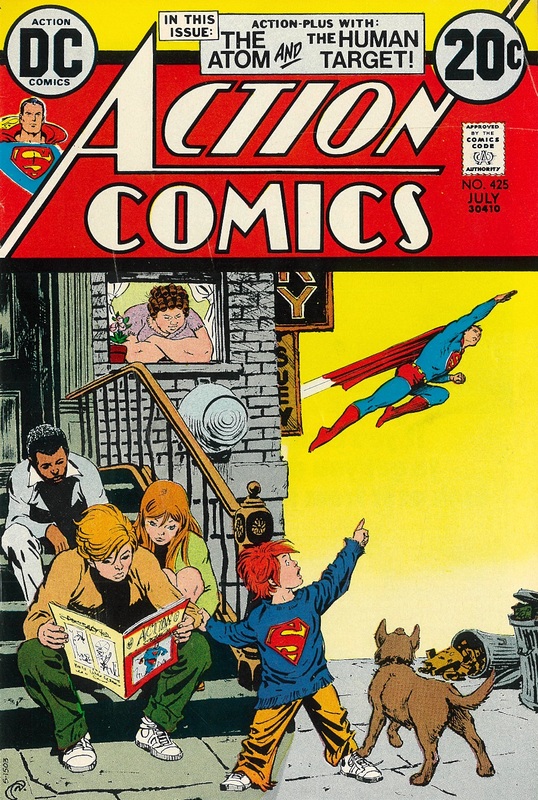 Here, we tackle the question that comic book fans have been asking for decades – could Superman really hide his identity using a pair of glasses? Photos of faces appear on almost all official forms of identification, from passports and driving licences to university staff and student cards. We have this intuition that our face is a good way to identify us, but a growing body of evidence suggests otherwise. Of course, if we consider the people we know personally (friends, family, partners), it’s almost impossible to find a picture of them that you wouldn’t recognise. Even in their passport photos, which could be up to ten years old in the UK, you would probably recognise them straight away. Studies have shown that we can even recognise people we know from very degraded images, such as CCTV footage (Burton et al., 1999). Therefore, it’s no surprise that the presence or absence of a pair of glasses wouldn’t stop you from being able to recognise your sister or husband. This amazing tolerance for the way a familiar person’s face can vary across different photos leads us to think we are good at recognising all faces. In fact, we are significantly worse when asked to consider unfamiliar people’s faces (e.g., Clutterbuck & Johnston, 2002, 2004), even when the photos are taken from real university ID cards (Bindemann & Sandford, 2011). 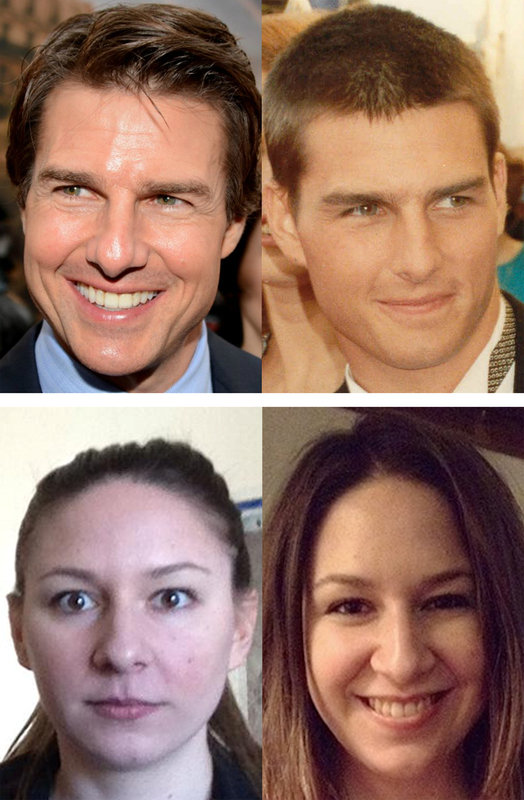 A common task used in psychology studies to examine photo-ID-style face identification is a face matching task. Typically, participants are shown two images side-by-side and asked whether the photos show the same person or not. Usually, only half of the image pairs show the same person in both photos, although depicted in different poses, lighting, expressions, etc. In the remaining image pairs, the two photos show two different but similar-looking people (e.g., two young, brunette women). Participants do very well (often perfectly) at the task when they are familiar with the person (or one of the people) pictured, but are much worse when they are unfamiliar with the people (see Figure 2). When we see two photos of someone we know, we even seem to be blind to how difficult the task would be for people who don’t know that person, over-estimating other people’s performance with faces we recognise (Ritchie et al., 2015). So why are we so bad at this task for people we are unfamiliar with? To answer this, we need to start with why we are so good at it for people we are familiar with. While we are getting to know someone’s face, we experience a lot of variation in their appearance. We see them from different angles, in different lighting, wearing their hair in different ways, etc. This variability seems to be important for learning new people (Murphy et al., 2015; Ritchie & Burton, 2016). But this same variability gets in the way when we are presented with two images of an unfamiliar person – the photographs can look very different and this might lead us to think they show two different people. Why is any of this actually important? Coming back to the example of photo-ID, try to consider the task given to Jenny, a fictional passport controller. Jenny’s job is to decide whether the person standing in front of her is the same person as the one pictured in the passport they hand over. The passport photo may be up to ten years old, and more importantly, Jenny has never seen this person before. We know already that this unfamiliar face matching task is a hard one for regular people who do not do this as a routine part of their job, but researchers have also shown that even passport controllers do not outperform students on this sort of task (White et al., 2014b). Now let’s get back to Superman and his glasses. In our new study (Kramer & Ritchie, 2016), we showed participants pairs of images where both wore glasses, pairs where neither face wore glasses, and ‘mixed’ pairs where one wore glasses and one did not. Half of the pairs in each of these image conditions showed the same person, and half depicted two different (but similar-looking) people. Participants were simply asked to indicate whether they thought the images were of the same person or two different people. Importantly, we only used images of people who were unfamiliar to our participants (and we confirmed this at the end of the study). In addition, all our images were collected from Google Image searches and showed natural variation in pose, lighting, etc. (see Figure 3 for an example of face images that naturally vary). When neither image wore glasses, accuracy (percentage correct) was 80.9%, and when both images wore glasses, accuracy was 79.6%. Statistically, performance in these two conditions did not differ, and these levels of accuracy are in line with those reported elsewhere (e.g., Burton et al., 2010). However, in the ‘mixed’ image condition, where one face wore glasses and the other did not, accuracy dropped to 74%. This drop in performance (although it sounds quite small) was statistically lower than in the ‘no glasses’ and ‘glasses’ conditions. This means that we can be confident that our ‘mixed’ condition really did make people worse at the task. 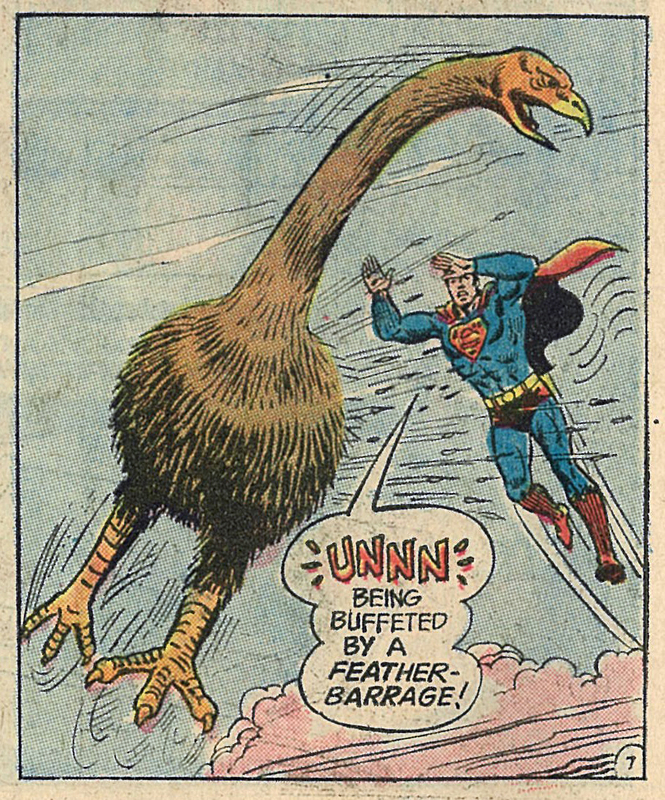 For this reason, Superman may have hit upon a disguise that isn’t just easy but might actually work. By simply donning a pair of glasses, he may well make it that little bit harder for strangers to tell that he also doubles as a reporter living among them. This effect of glasses might be hugely problematic for photo-ID in security settings. In the USA, people are allowed to wear glasses in their passport photos but may not be wearing glasses when they go through passport control. The 6% drop in accuracy found in our study, which could also be phrased as an increase in misidentifications, quickly scales up to thousands of potential mistakes when we consider the vast numbers of people going through passport control every day. This all seems fairly bleak when it comes to photo-ID so many researchers have been working on ways that we might improve the situation. One recent suggestion has been to provide multiple images (White et al., 2014a; Menon et al., 2015). 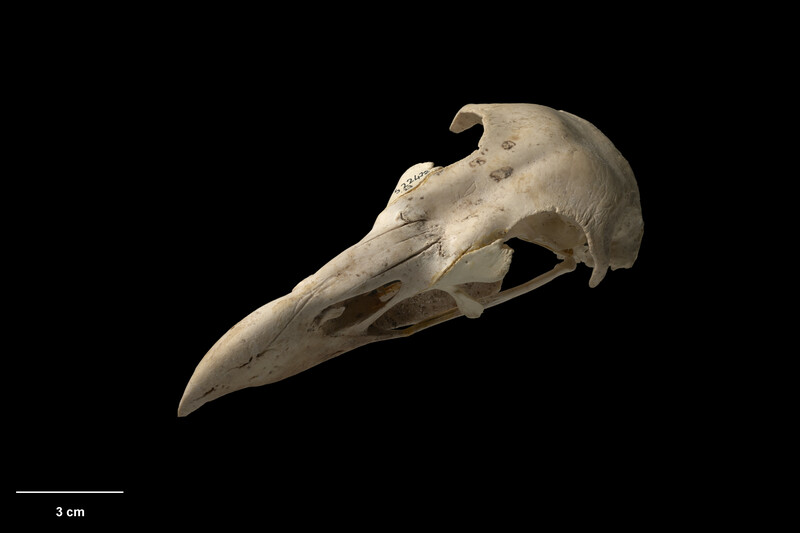 By including several photographs as reference images for comparison, instead of just the one typically found on IDs, scientists have produced significant improvements in accuracy. This is an area of ongoing investigations and other types of improvements to photo-ID will continue to be explored. Bindemann, M. & Sandford, A. (2011) Me, myself, and I: Different recognition rates for three photo-IDs of the same person. Perception 40: 625–627. Burton, A.M.; Wilson, S.; Cowan, M.; Bruce, V. (1999) Face recognition in poor quality video: Evidence from security surveillance. Psychological Science 10: 243–248. Burton, A.M.; White, D.; McNeill, A. (2010) The Glasgow Face Matching Test. Behavior Research Methods 42: 286–291. Clutterbuck, R. & Johnston, R.A. (2002) Exploring levels of face familiarity by using an indirect face-matching measure. Perception 31: 985–994. Clutterbuck, R. & Johnston, R.A. (2004) Matching as an index of face familiarity. Visual Cognition 11(7): 857–869. Hellström, A. & Tekle, J. (1994) Person perception through facial photographs: Effects of glasses, hair, and beard on judgments of occupation and personal qualities. European Journal of Social Psychology 24: 693–705. Kramer, R.S.S. & Ritchie, K.L. 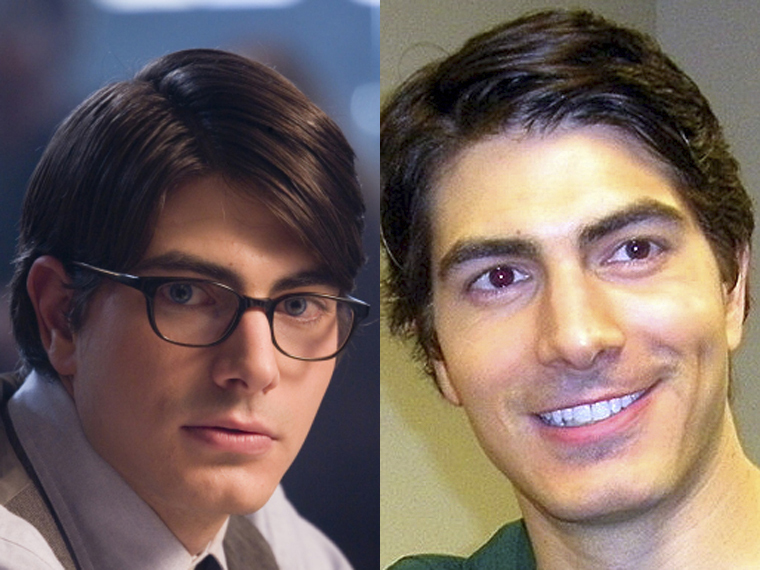 (2016) Disguising Superman: How glasses affect unfamiliar face matching. Applied Cognitive Psychology: advance online publication (DOI: 10.1002/acp.3261). Available from: http://onlinelibrary.wiley.com/doi/10.1002/acp.3261/full (Date of access: 14/Sep/2016). Menon, N.; White, D.; Kemp, R.I. (2015) Variation in photos of the same face drives improvements in identity verification. Perception 44(11): 1332-1341. Murphy, J.; Ipser, A.; Gaigg, S.B. ; Cook, R. (2015) Exemplar variance supports robust learning of facial identity. Journal of Experimental Psychology: Human Perception and Performance 41: 577–581. Ritchie, K.L. & Burton, A.M. (2016) Learning faces from variability. Quarterly Journal of Experimental Psychology: advance online publication (DOI: 10.1080/17470218.2015.1136 656). Available from: http://www.tandfonline. com/doi/abs/10.1080/17470218.2015.1136656 (Date of access: 14/Sep/2016). Ritchie, K.L. ; Smith, F.G.; Jenkins, R.; Bindemann, M.; White, D.; Burton, A.M. (2015) Viewers base estimates of face matching accuracy on their own familiarity: Explaining the photo-ID paradox. Cognition 141: 161–169. White, D.; Burton, A.M.; Jenkins, R.; Kemp, R.I. (2014a) Redesigning photo-ID to improve unfamiliar face matching performance. Journal of Experimental Psychology: Applied 20(2): 166–173. White, D.; Kemp, R.I.; Jenkins, R.; Matheson, M.; Burton, A.M. (2014b) Passport Officers’ errors in face matching. PLoS ONE 9(8): e103510. Dr. Robin Kramer frequently collaborates with Bruce Wayne in various crime-fighting adventures but states for the record that the current research is neither funded by Wayne Enterprises nor does it represent any ulterior motives of Batman.